Our paper on how to prepare next-gen scientists for big data is out. We outline here a curriculum focused on precision medicine, data science, and artificial intelligence. Our paper on the use of simulation to help improve analysis validation and results reproducibility. Increasingly complex statistical models are being used for the analysis of biological data. Recent commentary has focused on the ability to compute the same outcome for a given dataset (reproducibility). We argue that a reproducible statistical analysis is not necessarily valid because of unique patterns of nonindependence in every biological dataset. We advocate that analyses should be evaluated with known-truth simulations that capture biological reality, a process we call "analysis validation." We review the process of validation and suggest criteria that a validation project should meet. We find that different fields of science have historically failed to meet all criteria, and we suggest ways to implement meaningful validation in training and practice. I love seeing new extensions and modifications to our MDR method. Here is a new from Dr. Lou. The manifestation of complex traits is influenced by gene–gene and gene–environment interactions, and the identification of multifactor interactions is an important but challenging undertaking for genetic studies. Many complex phenotypes such as disease severity are measured on an ordinal scale with more than two categories. A proportional odds model can improve statistical power for these outcomes, when compared to a logit model either collapsing the categories into two mutually exclusive groups or limiting the analysis to pairs of categories. In this study, we propose a proportional odds model‐based generalized multifactor dimensionality reduction (GMDR) method for detection of interactions underlying polytomous ordinal phenotypes. 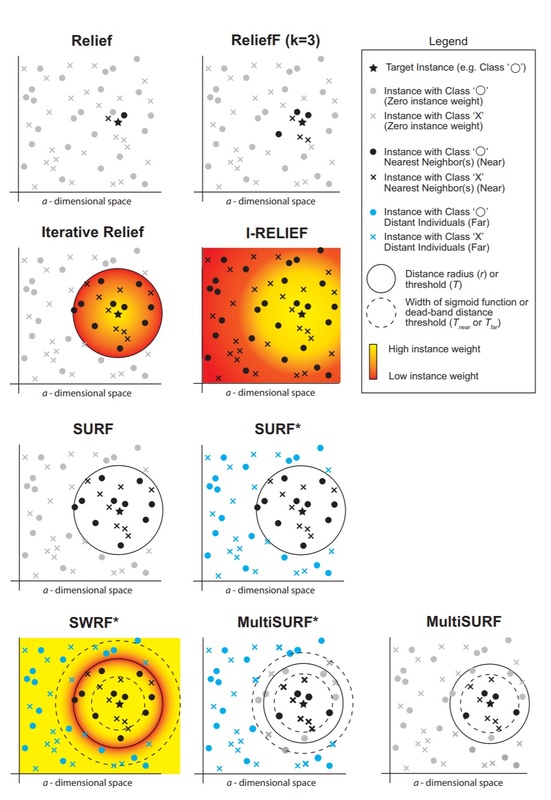 Computer simulations demonstrated that this new GMDR method has a higher power and more accurate predictive ability than the GMDR methods based on a logit model and a multinomial logit model. We applied this new method to the genetic analysis of low‐density lipoprotein (LDL) cholesterol, a causal risk factor for coronary artery disease, in the Multi‐Ethnic Study of Atherosclerosis, and identified a significant joint action of the CELSR2, SERPINA12, HPGD, and APOB genes. This finding provides new information to advance the limited knowledge about genetic regulation and gene interactions in metabolic pathways of LDL cholesterol. In conclusion, the proportional odds model‐based GMDR is a useful tool that can boost statistical power and prediction accuracy in studying multifactor interactions underlying ordinal traits. A nice new paper on epistasis is yeast. Genetic interactions between mutations and standing polymorphisms can cause mutations to show distinct phenotypic effects in different individuals. To characterize the genetic architecture of these so-called background effects, we genotype 1411 wild-type and mutant yeast cross progeny and measure their growth in 10 environments. Using these data, we map 1086 interactions between segregating loci and 7 different gene knockouts. Each knockout exhibits between 73 and 543 interactions, with 89% of all interactions involving higher-order epistasis between a knockout and multiple loci. Identified loci interact with as few as one knockout and as many as all seven knockouts. In mutants, loci interacting with fewer and more knockouts tend to show enhanced and reduced phenotypic effects, respectively. Cross-environment analysis reveals that most interactions between the knockouts and segregating loci also involve the environment. These results illustrate the complicated interactions between mutations, standing polymorphisms, and the environment that cause background effects. 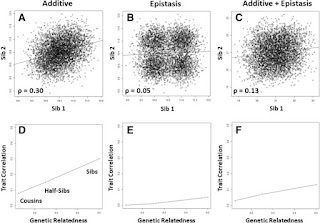 Identification of statistical epistasis in natural populations remains challenging due to the relationship between allele frequency and statistical power. 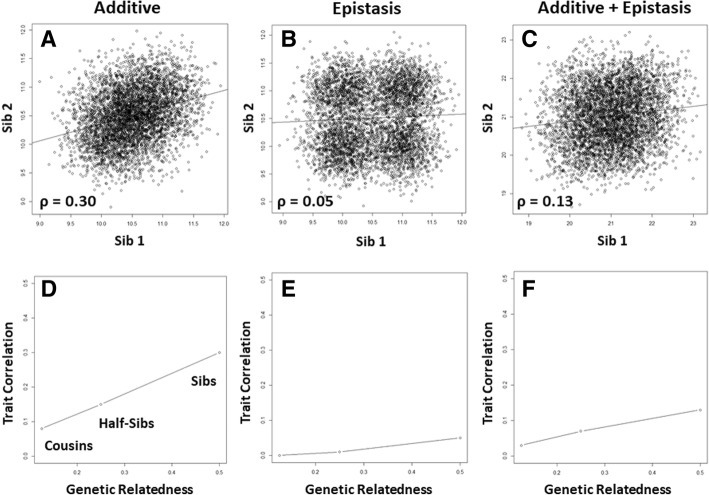 Artificial populations have been constructed in model organisms to detect statistical epistasis between two regions of the genome; however, it is difficult to use these results to understand how epistasis operates in natural populations. Studies of focal perturbations in defined genetic backgrounds suggests that natural selection can influence the types of nonadditive relationships that exist. Our paper on PennAI has finally been published as part of the proceedings of the Genetic Programming Theory and Practive XV workshop book. 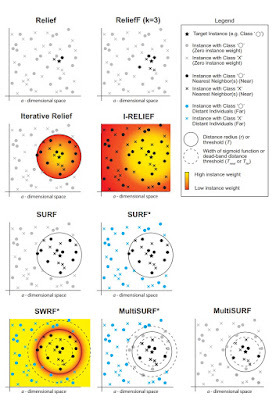 We have two new papers out on ReliefF for feature selection. ReliefF is a machine learning method that can detect epistasis.